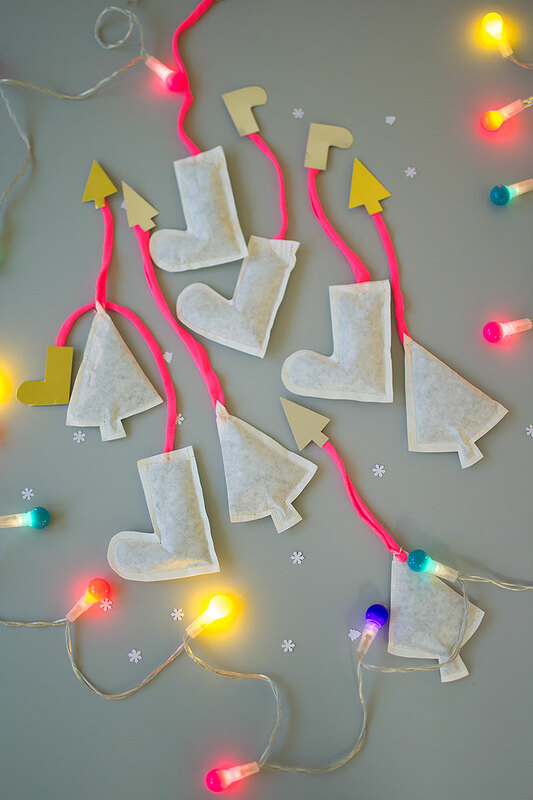 If you’re looking for some homemade Christmas gift ideas then these handmade tea bags are perfect, they would also work well as festive table decorations. You can make them any flavour you like by filling them with the leaves of your choice. 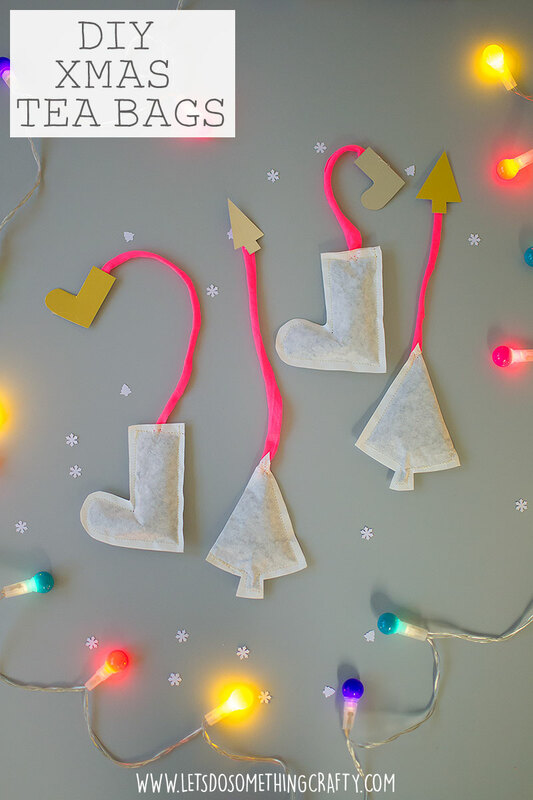 I always plan to make Christmas gifts then run out of time and end up buying things but I’m a bit more organised this year and am really excited about the festive season so the present making has already began in our house already. I just think it’s much nicer to give someone a little something you’ve made instead of buying something for the sake of it, it works out so much cheaper too. 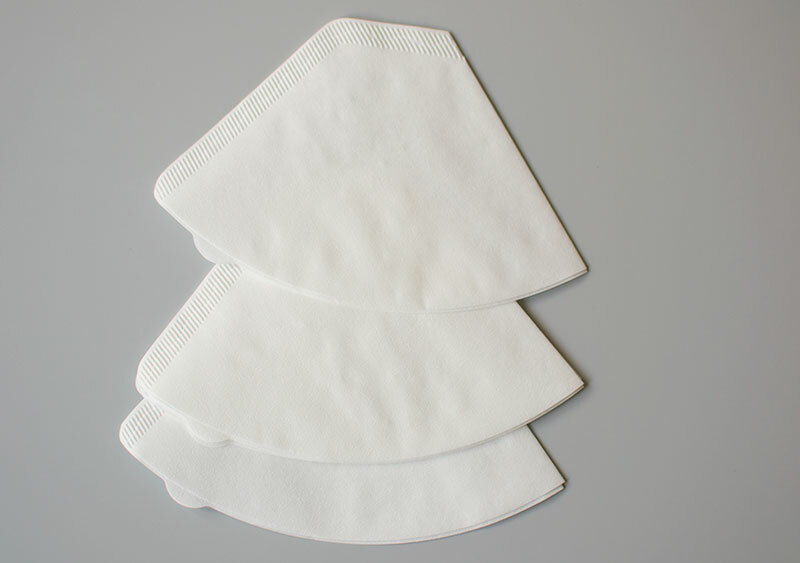 It didn’t cost much to buy the things you need to make these and there are 50 filters in the pack so you could make loads! I used coffee filter papers this shape.. 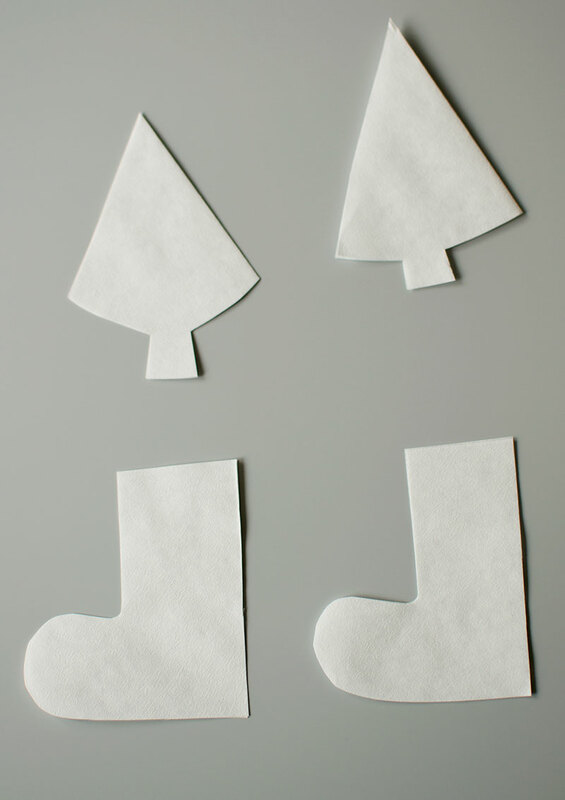 I folded one part over and cut the bottom away to make the Christmas Tree shape before cutting up the folded line. 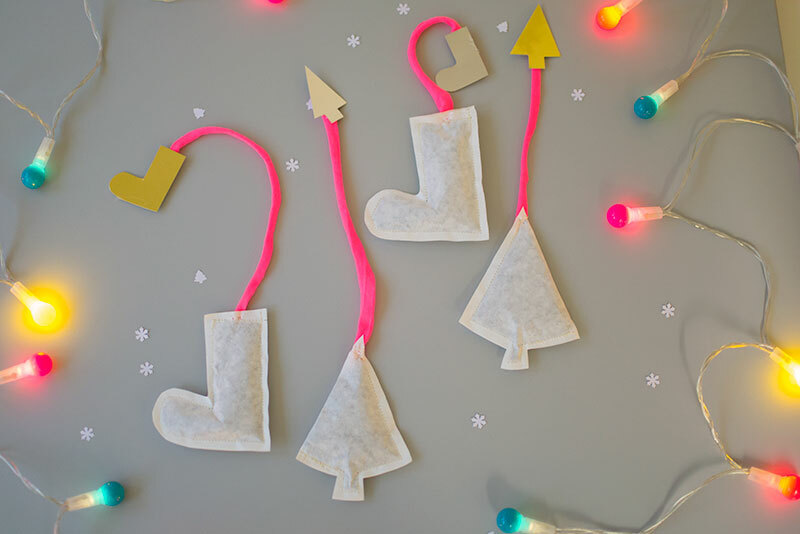 I then cut a stocking shape out of the rest of the coffee filter paper. I sewed around the outside leaving a hole which I poured tea leaves into before sewing up the gap. Then you just need to attach the string with a little shape at the end made from card. I used reflective mirror card in gold and silver but you could use any color you liked. For this part I was planning to use my stapler which would have been really quick and easy but I couldn’t find it anywhere so ended up stitching the string on and using my glue gun to stick the shape to the end. It took much longer that way though so a stapler would be much better. 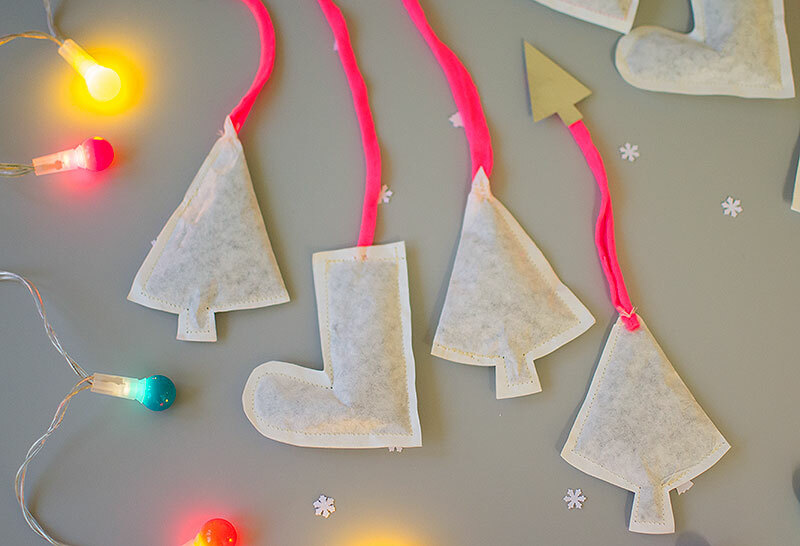 Now you’ve got your tea bags. 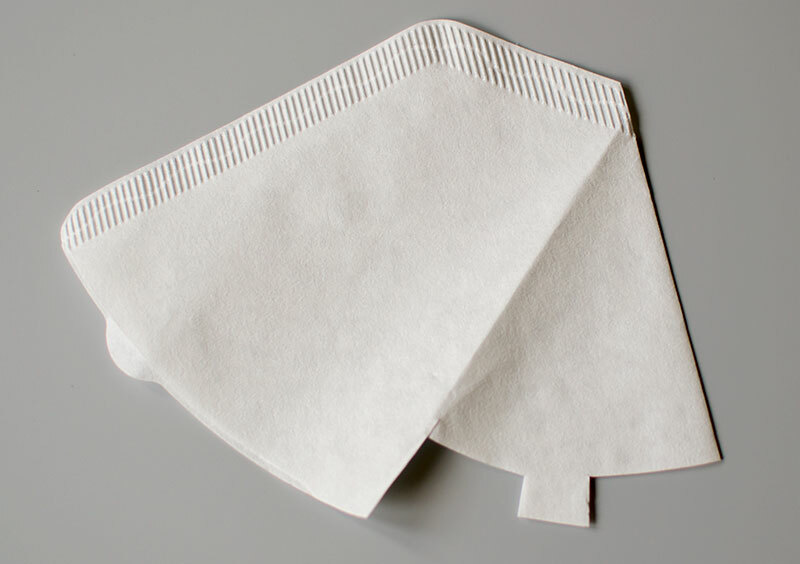 I was actually interested as to whether they would work or not, I read on Google that you can make tea bags out of coffee filter papers but I wasn’t sure how they would compare with normal tea bags which are made with more of a net. 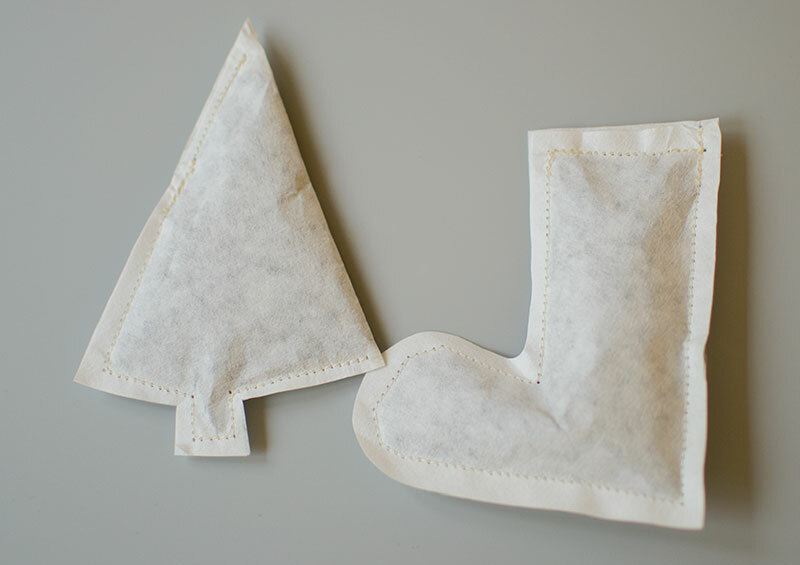 It did work, I would say you have to leave it to brew for a bit longer than you would with a standard tea bag and not be too rough with the spoon when taking it out in-case it breaks the stitching apart but other than that they work well. Oh a tip when stuffing them would be to leave enough room for the tea to be able to move around a bit otherwise it will take longer to brew. I hope you’ve enjoyed this craft, I know we did!